1. New Sega Japan official Naomi SD cabinet legs and covers fitted. New Net City side art applied. 2. Base cleaned, primed and re-sprayed appliance gloss white. 3. New Naomi front assembly fitted, complete with new monitor bezel, inserts, screw cap covers and light cover. 4. New control box upper fitted. 5. Instruction glass cover replaced with a new Japanese one. 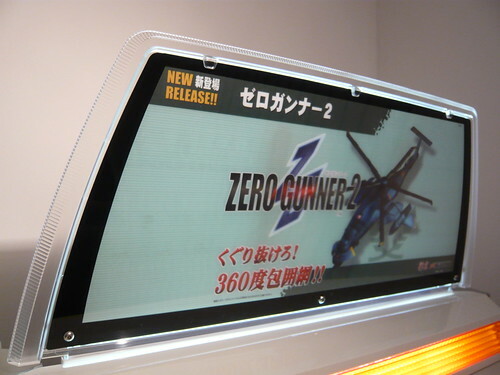 The Japan version has a black border. 6. New instruction glass cover brackets and L washers fitted. 7. New Sega coin reject button fitted. 8. 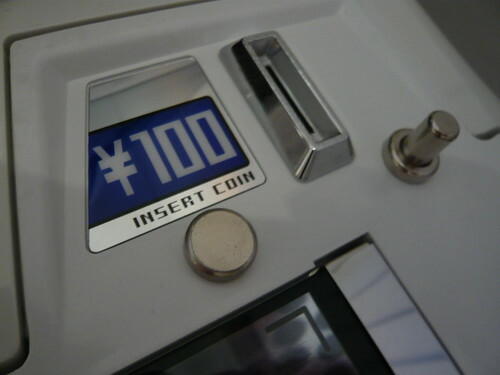 Plastic coin slot replaced with Sega 100 Yen chrome metal coin slot. 9. Rear monitor cover cleaned. 11. New Sanwa sticks, ball tops and push buttons fitted. 12. Sega extra button looms fitted. 13. New leg hoofs, levellers and end caps fitted. 14. New Net City CP overlay, instruction sheet, coin decal, and emblem added. 15. Coin box door and frame fitted – original missing. 16. New marquee assembly fitted. 17. Missing coin box replaced. 18. Monitor tube and chassis cleaned. 19. Wooden Naomi mobo / PCB mounting board fitted - original board missing. 20. Earth wiring re-connected inside cabinet legs. Missing earth wires replaced. 1. Sega Japan official Naomi SD cabinet legs and covers. The monitor is 31KHz only so I will be using this cab for Naomi, Atomiswave and Taito Type-X systems. 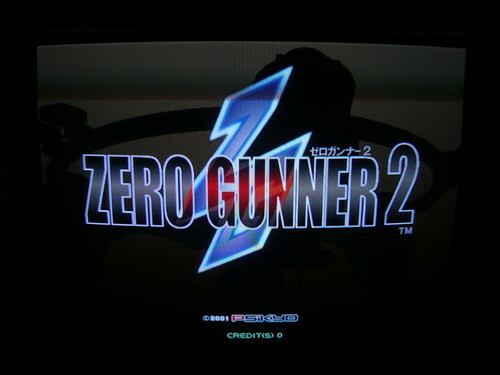 At the moment I’m playing Zero Gunner 2 by Psikyo and I can see that staying in there for a good while! 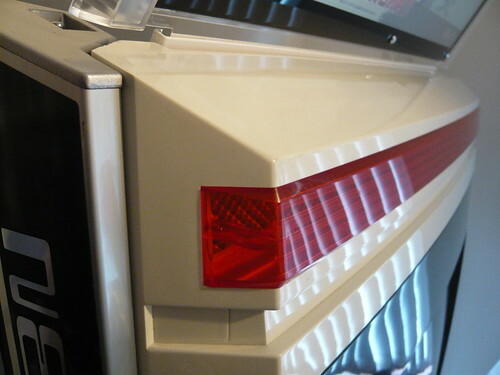 Daz / Red5 (Arcade Otaku) for the cab. Andygeezer for the SD leg kit, NNC side art, Naomi / PCB mounting board, Naomi front assembly, control box upper, instruction glass cover and the marquee assembly. Craig / Giz10p for monitor bezel, end caps, light cover, coin reject button, NNC instruction sheet, brackets and L washers. Richy13 (AO) for the chrome coin slot. Akihabarashop for the buttons and meshball ball tops. BlingStix / FrancoB (AO) for the Jamma / JVS voltmeter. Spectre (AO) for the repro marquees. And a massive thanks to Paulie (AO) for his excellent Naomi restoration thread and earth wiring connection info.